How Many Referrals Do You Expect Per Month? The number of referrals you should expect to receive is dependent on the type of business you’re in and the effort you exert to develop your network. Some professions receive more referrals than others. For example, a florist is going to get many more than a real estate agent. However, the florist will have to sell a lot of flowers to make up for one real estate sale. Hence, the type of profession can somewhat determine a range in the quantity of referrals. Having said that, however, the actual number that someone in a specific profession can get varies dramatically depending on their efforts to develop those referrals. This variation depends on how they “work” their networks. You remember the old computer adage “garbage in, garbage out”? It means that if you put bad information into the system, you’re going to get bad information out of the system. Well, one’s networking efforts are very much the same. The results you can expect to get out of your efforts will be based on the quality of people you put into it. I recently conducted an Internet survey of business professionals in which I asked, “What percentage of your business comes from word-of-mouth or referrals?” Even I was surprised by the results. More than two-thirds of the respondents said they received 70 percent or more of their business from word-of-mouth. Only 14 percent said that referrals accounted for less than 30 percent of their business, and only 2 percent said they got no business from word-of-mouth! 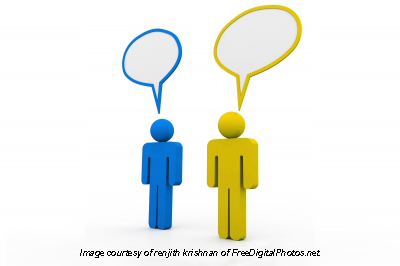 Clearly, word-of-mouth and referrals are critical to the success of many businesses today. The question is, how do you increase it? First, consider professions that are part of your contact sphere. These are businesses that have a symbiotic relationship to yours. Contact spheres are the building blocks of your referral business because they help to build a solid base of repetitive referrals for you. Read “Developing a Networking Contact Sphere” for a more thorough explanation. Next, you should diversify your networks. That is, you should participate in different kinds of networking groups so that you may have a diverse cross section of businesses and professionals as part of your center of influence. It’s important for you to understand that you must first build the foundation I speak of above before you can have high expectations for developing referrals. 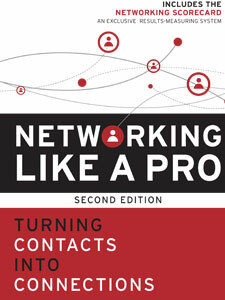 Based on research that I conducted at the University of Southern California a number of years ago, I found that the average participant in a strong contact network or a business development network (groups that meet weekly and allow only one person per profession, and whose primary purpose is to pass business referrals) generated, on average, 4.2 referrals per member, per month, or roughly 50 referrals per person, per year. 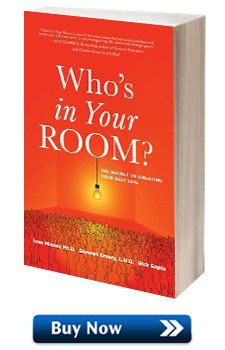 See Chapter 8 of my book The World’s Best Known Marketing Secret for additional information about the payoffs of networking. Please note that there are many intervening variables to this number. In my study, these variables included such things as length of membership, the profession they represented, the years of experience, the level of participation and more. One thing that didn’t seem to make a difference was gender. Both men and women generated substantially similar numbers of referrals throughout their participation. To summarize, the number of referrals you can expect will vary depending on your profession and your efforts in the networking process. However, on average, I’ve found that many businesspeople can generate more than 50 referrals per year via their participation in a single networking organization. What makes this number truly significant is that most people would agree that a referred contact is much easier to close into business than other types of contacts. I believe this is the reason that so many businesses say they generate most of their business through referrals and word-of-mouth. Working in a startup is completely different than an established company, and comes with its own unique set of challenges. Not only do employees or founders of a startup need to be conscious of these different challenges, there are also keys to business that become even more important when you work with a startup. Not only do you need to attend networking events, you should host them. When you attend an event, you will stick in the minds of those who were also in attendance. Ideally, you’ll make positive impresses on everyone you connect with. When you host an event, however, not only will people who you connect with at the event remember you, so will everyone you invited but couldn’t make it. While their impression of you won’t be as developed as those who attended, invitees who couldn’t make will remember that they were invited, and it will be easier to hit the ground running with them when you finally do make that connection. The follow up is vital. A huge part of networking is that follow up, and letting those that you connect with know that their time is appreciated and that you want to continue developing that relationship. 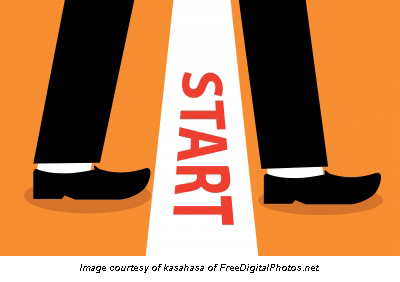 When you are working on starting your business, that follow up becomes a tool of its own. Your number one priority needs to be growing your business, gaining notoriety, and establishing new connections in your industry to help support that growth. Letting people know that you’re thinking of them, whether they are new contacts or old, helps to develop those relationships and can keep you moving forward. You need to lose some ego. As business people, we’re smart. Not only that, but we need to be confident to succeed in business. What that doesn’t give you the right to do is to allow your ego to control your actions. Whatever reason you’re involved in a startup, whether you were looking to break into a different industry, or you’re on the latest of many new businesses, your reputation cannot carry you here. With a new venture, you need to develop a new name for yourself, so you cannot rely on what you have accomplished before. It can help you get part of the way, but you must lose the ego if you want to go far. During a radio interview, the host of the program asked me whether I consider referral marketing the “safest” form of advertising. Without the slightest hesitation, I confidently answered, “By all means, no!” He was visibly shocked by that answer. I went on to explain that I believe very strongly in the tremendous benefits that referral marketing can bring. However, there are unique risks associated with referral marketing that aren’t an issue with commercials or other forms of advertising. When you give someone a referral, you’re putting your own reputation on the line. If your referral partner does a good job, it enhances your reputation. But if he does a poor job, your reputation will likely suffer. As I said, the payoffs of referral marketing are immense—when it’s done correctly. But referral marketing involves a really big risk: giving away a piece of your reputation every time you give a referral to someone. When you tell a valued customer that a friend of yours is going to take good care of her, you must have confidence in that friend. But what happens if your friend lets your customer down? It comes back to haunt you. Your customer begins to lose faith in you, and because of that loss of faith, you just might lose that customer down the road. This is why it’s so important to develop strong relationships with your referral partners. Once those strong connections are forged, you can rest easy, knowing that when you tell someone a business associate or a networking partner is going to take good care of him or her, that’s what will happen. Where is your cell phone? Close by? Some of you may even be reading this on your phone right now. Most professionals will have easy access to the internet, and so many of us will jump straight to Google when looking to answer the simplest of questions. Google can’t always answer your questions, though. Articles and message boards can only get you so far. 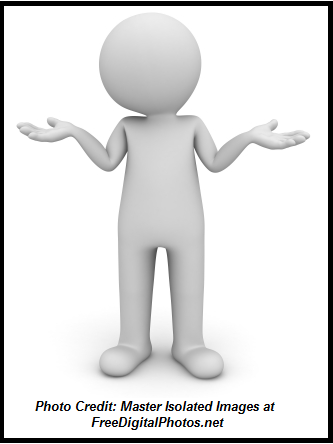 Occasionally you will have a question or concern in your business so specific that you would really benefit from a direct answer to your situation. This is just the tip of the iceberg when it comes to reasons why every successful businessperson could benefit from a mentor. So why should you have a mentor? 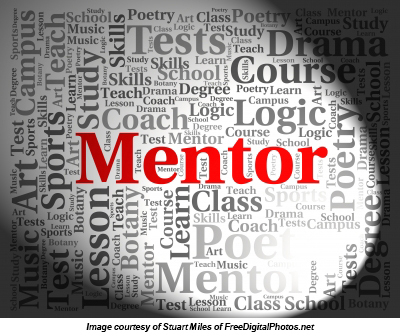 Here are three reasons why a mentor could be invaluable to your business. Your mentor will likely be someone who has years of experience on you in your field. They know how to accomplish tasks that you might not, and as a person who has a genuine interest in you and your success, they will teach you how to communicate more effectively, succeed at a networking event, or set worthy and empowering goals. Whatever your hurdle is, your mentor can help you overcome it. So often we forget the power of the network those in our network have. As you are networking and working to grow your business, your mentor once upon a time did the same for their business. Their network is a powerful resource to you, and they would likely be more than happy to get you in contact with members of their network as need arises. Having a mentor can help build your confidence in numerous ways. For one, having an individual that you trust and respect backing you, perhaps someone with a reputation in your industry, can help you feel as if you have made the right decisions. Additionally, hearing their stories from when they were at the same juncture in their career can help you see your situation with a different clarity, and help you feel empowered. Do you have a mentor? How have they helped you the most? Leave your comments in the field below! Many entrepreneurs belong to networking organizations, but they simply don’t know how to effectively get a return on that investment of time. Thoughtful engagement is the answer. Engagement is an absolutely critical step in the networking process. It involves a promise and an action. In order to achieve success with your networking partners, you must promise to support one another, and then you must take the action necessary to fulfill that promise. The only way to do that effectively is to connect on a deeper level than you do with most of your business contacts. Have you taken the time to regularly meet with the people in your network on a one-to-one basis? This means setting up times outside the context of any normal meetings and getting to know them on a deeper, professional level. Have you taken the time to educate them regularly on the key elements of your business, so that your products or services will be top of mind in the event they meet someone with a need for what you do? Have you taken the time to become educated on the key elements of your networking partners’ businesses, so that you can do the same for them? Have you visited their offices to get first-hand understanding of their services? If possible, have you used their products or services to get first-hand knowledge of the quality their products or the services they provide? 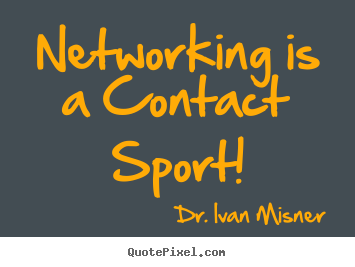 Networking truly is a “contact sport.” It involves full engagement in order to get solid results. In fact, research has shown that reciprocal engagement in a business relationship results in higher productivity. According to Psychology Today, people who are “actively engaged” in a business environment are “43% more productive” than those who are not. Furthermore, they say that engagement includes “regular dialogue, quality of working relationships, perceptions of ethos and values… and recognition.” Effective networking is all about building meaningful relationships that include most, if not all of these characteristics. Every time I hear someone talk about how networking didn’t work for them – I discover it’s because they have never done a deep-dive on the relationship building process relating to their networking. Most of their networking activities were very superficial. Or worse yet – it mostly involved an attempt at direct selling. 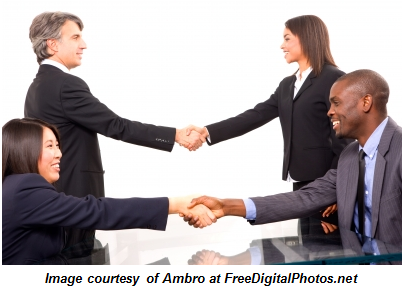 Networking is not a face-to-face, cold-calling opportunity! When it’s done right, it’s about building long-term meaningful relationships. In fact, networking is more about “farming” than it is about “hunting.” It’s about the slow process of cultivating long-term, professional relationships. Over time, this long-term process gives you the opportunity harvest a substantial amount of business, but it only happens with full engagement in the relationship process. Spend some time thinking about new ways you can support your networking partners. This will help you promote engagement with them in the various networking groups to which you belong. You will find it is time most well spent. How social is your social network? In my video blog two weeks ago, The Six Degree Myth and the 29 Percent Solution, I discussed the inspiration for the book that I co-wrote with Michelle Donovan, The 29% Solution. After watching the vlog, one reader brought up an interesting point, and I would love to discuss it further. Social media changes the game of networking, but not really how you might think. A common social networking misconception is that the number of people that you are connected with online is directly related to the number of people that you truly have a connection with in your day to day life. When widely known networking theories are applied to social media, results can vary. This is because studies relating to social media connectivity, in this case referring to a study done by Facebook in 2011 which attempts to recreate Stanley Milgram’s Six Degrees of Separation experiment via Facebook, have one fundamental flaw. These studies assume, and rely on the possibility, that a connection on Facebook is the same to an actual, real life relationship. I have 5,000 connections on my Facebook page. This doesn’t mean that I have 5,000 people that I know well enough to ask for a favor, or that they would actually do it for me if I asked. Facebook has essentially redefined what a “friend” is so that any contact on a profile is considered a legitimate, personal relationships. According to the Dunbar Study, the true number of contacts that one person can have meaningful relationships with is around 150, and naturally this varies from person to person. That being said, with social media, and in our day-to-day lives as well, it is not the number of links, but the quality of links that makes a difference in our networking attempts. The purpose of The 29% Solution was to explain what things I thought anyone could do to be part of the percentage of people with close, meaningful connections. What do you think? How has social media changed how you connect with others? Share with me in the comments section below. Join as many or as few as your time allows, but always give your best effort to promoting yourself and your business in each. 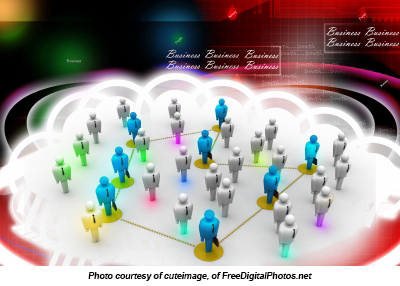 Which groups you select will directly affect your referral marketing’s success. To pick the groups that are right for you, first take some time and think about what types of organizations you truly want or need to join. Your participation in the group is what will make you successful, not how many you join, so be sure to join the ones that you have time for and want to take part in. Second, you must find some of these organizations in your area. You can try to join an organization across the world from you, but if you can’t physically commit yourself to the group then you won’t get return on your investment. Next, be sure to visit as many of these groups as you can and get testimonials from current members. Just as you want referrals for your business, you would want current members to give referrals for their organization. Finally, visit the group one more time before you decide to join. Many groups have nuances that you may not pick up on at your first meeting, so give yourself plenty of time to see the whole group. There is no quick fix, and growing your business will take effort. Above all else, dedicate the time to your networking strategy that it deserves, and meet other qualified business professionals regularly to develop your referral-based business. How many networking organizations are you a part of? Have you found a combination of groups that gives you the most bang for your buck? I’d love to hear your thoughts on networking organizations, so please leave your comment in the forum below! Thanks! What Is Your Intent? Do You Know Your Purpose? All great teachers assert the importance of having intent and purpose in our lives. According to Benjamin Disraeli, “The secret of success is constancy of purpose.” Before you go into a networking scenario, make sure you know your purpose. If your underlying pupose is to exploit the group, you will communicate differently, both verbally and nonverbally, than if you intend to give to the group. You expect an eventual return, of course, but a good networker goes in with the immediate benefit of others uppermost in mind. We are, at most times in our lives, a dynamic mixture of intentions. We seek to do good for others, and at the same time we seek personal benefits in many different forms. When we attend networking events, our attention instinctively and constantly jumps from situation to situation, searching for opportunities that favor us. To fix your intention firmly on benefitting others, it is useful to organize your thoughts before the event by formulating, in writing, a clear statement of your main purpose–a mission statement. Focusing on your number-one priority helps you push your many other impulses into the background. With your attention and intentions focused, you will communicate clearly and unambiguously your willingness to help others solve problems and satisfy needs. You will be more self-confident and open to the messages of others, and they will sense it and be attracted to you. Your message will foster trust and rapport with your networking partners, enabling you to establish and strengthen mutually beneficial relationships. For the networker, the most authentic message of all is this: “I would like to be your friend, and for you to be my friend. I think we will both benefit from it. And I want to start this friendship by doing something to help you.” If you communicate this orientation toward others in all possible ways, with integrity, you will easily form valuable, rewarding, long-lasting networking relationships. 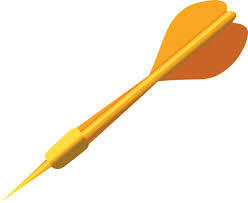 What have you personally found to be an effective tactic in relaying your genuine networking intent/purpose? Please share your feedback in the comment forum below. Thanks! 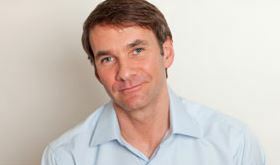 As most of you who read this blog are avid networkers, it’s highly likely you are already familiar with Keith Ferrazzi. If you aren’t, however, I can tell you that if the dictionary had a photo to accompany the definition of “master networker,” the photo would be of Keith. He is absolutely the epitome of a master networker, and he has the most diverse group of contacts of anyone I’ve ever known. Keith’s first book, Never Eat Alone, is a bestseller and the entire premise of the book is that networking over a meal is an absolutely amazing way to build rapport and trusted relationships with people. After I read it, I found myself constantly referring to it in conversation and recommending it to people because it really is true–something magical and companionable happens when people break bread together. I wanted to share this video with you today because, in it, Keith talks about his own key strategies for hosting networking dinner parties, and I think the “dinner party tactic” is one that not a lot of networkers have dabbled with. I would love to see networkers around the world, both novice and seasoned, experience the amazing, relationship-building power that hosting a purposeful dinner party can have. Keith believes that the strongest links have been forged at the table. 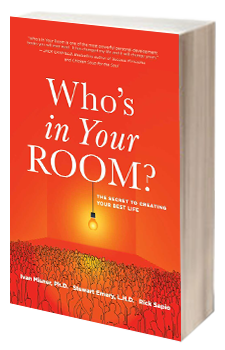 Because of this, he has mastered the art of throwing a networking dinner party and, in his networking content, he consistently emphasizes the power that throwing a dinner party can have in creating memories and strengthening relationships. He is quick to mention, however, that if we continue to have dinner parties with the same people, our circle will never grow. His solution is to identify and invite “anchor tenants” to your party. These are people who are related to your core group but who know different people, have experienced different things, and thus have much to share. They tend to be the people who have had a positive influence on your friends’ lives. It’s akin to inviting the CEO to the manager’s table, as Ferrazzi says. Soon other executives will want to be there too. I had the opportunity to experience one of Keith’s networking parties firsthand and the anchor guest that night was the legendary author Gore Vidal. Providing the entertainment was America’s oldest collegiate a capella group, the Whiffenpoofs of Yale. Clearly, not all of us will be able to get Gore Vidal and the Whiffenpoofs at our networking party, but I’m guessing that Keith didn’t have them at his first party either. However, the strategy is sound and I encourage you to try out the concept as a way of building your visibility in the community. Keith has paid close attention to how a meal can most appropriately be leveraged for a business networking opportunity; the primary focus should always be on developing the relationship–learning about each other, helping one another with problems, and giving ourselves. I invite you to visit KeithFerrazzi.com to learn more about Keith, and I highly encourage you to check out his content on networking–it’s absolutely fantastic! People often think that networking is all about talking business and exchanging cards, but that’s a definite misconception. In a networking group, you should talk about more than just business. A referral relationship is more than just, “I do business, you do business, let’s do business.” A much better approach is to find common ground on a personal level, then relate your business to it. The longer I’ve been involved in networking, the more I’ve seen the power of personal interests in making connections. Networking is about building personal relationships. If you remove the personal from the equation, you limit the amount of business that can happen. In one networking group I worked with, I introduced an exercise called the GAINS Exchange, in which people share personal and professional information about themselves. Two of the participants in this group had known each other for more than a year but had never done business. During the exercise, they discovered they both coached their sons’ soccer teams. They quickly became close friends and were soon helping each other conduct soccer practices. After a few months, they began referring business to each other–two guys who had barely spoken to each other the first year because they seemed to have so little in common. By finding a common interest and starting with that, we can make connections that have a very good chance of turning into business. Try this strategy out for a while and then come back and leave a comment to let me know what your experiences have been–I’d love to hear about them! Are You Hearing What Isn’t Being Said? Peter Drucker once said, “The most important thing in communication is to hear what isn’t being said.” This is so true and extremely important because the quality of our relationships depends on the quality of our communications; and when it comes to sales for your business and growing your business through referral marketing, this concept is a cornerstone for success. Of course, not all sales transactions require incredible relationships or communication (e.g., online shopping), yet even big box stores like Wal-Mart–not known for warm customer relations–illustrate the value they place on communication and relationships by employing a visitor host to greet customers at the entrance of their stores. Sellers in strong relationships with their clients have a competitive advantage because the client feels connected or bonded to the seller. The single most important tool sellers use to establish a connecting bond with another person is communication. In fact, building a bonded relationship is completely dependent on having quality communications with another individual. The art and science of communication is more than talking and hearing words. There are many strategies and techniques aimed at earning the right to have your message heard. If you can communicate at a level that matches the customer’s style rather than your own, you will be well on your way to masterful sales conversations. Masters of sales today assume more of a consultative perspective to their selling work. In fact, many box retail stores use the term “sales consultant” to describe the store clerk of yesterday. Master sales consultants know that their ability to communicate is critical to selling client solutions, because rapport and trust, the cornerstones of selling, are built or lost based on communication. So what can you do this week to improve your communication skills in order to speak to be heard and hear to know how to speak (e.g., joining a Toastmasters club, reading books like Dr. Mark Goulston’s Just Listen, etc.)? I’d love to hear your ideas in the comment forum below. Who Cares about Your Business? Do you know who really cares about your business and wants to help you? Realistically, there are only a few basic ways of motivating people to care about and help build your business. Basically, it comes down to relationships and rewards. Some folks, usually friends or family, will simply want to help because they like you and want you to do well. These people will be motivated by the relationship itself. But in most other cases, the long term motivation to build your business is not based primarily on whether or not the other person likes you. Business partnerships, including referral relationships, almost always include some form of mutual reward; typically in the form of social or financial gain. Both you and your networking partner have something to gain, and you are both eager to help each other achieve it. Some people are motivated by the potential for business referrals you can send, while others are motivated by the prestige and opportunities created by having a relationship with you. Regardless of the underlying motivation behind them, relationships can take time to prove profitable in a substantial way, but that doesn’t mean they aren’t worth cultivating. Ultimately, strong relationships will steer back opportunities because of the nature of networking itself and of the endless variety of products and services to which it can lead. I firmly believe that most relationships will probably prove rewarding in the long term, even in cases where you don’t receive referrals in return. There are a few super successful people to whom we send referrals who’ve never reciprocated with a referral back. We’re motivated to continue helping them in any way we can simply because they will work with people we refer to them. That makes us look good, because it’s very difficult for the average person to start a working relationship with these very successful, very busy people. If we refer someone, it opens a door that might never have otherwise opened. The new person that we are referring to our very busy friends or associates is the one who now goes out of his way to reciprocate. That’s our motivation; helping our networking partners achieve their goals. And, of course, in one form or another, it winds up coming back in some way. What are some experiences you’ve had in which you’ve benefitted in some way or another as a result of truly caring about others’ businesses and helping them to grow and achieve their goals? I’d love to hear your story/stories so please share your experiences in the comment forum below. Thanks! 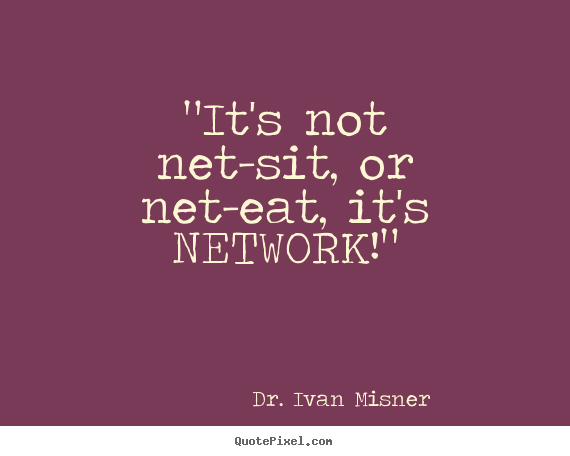 Who Will You Let In Your Network?